Though diamonds may be forever, as the great Dame Shirley Bassey once sang for the 1971 Bond film Diamonds Are Forever, we sometimes forget that we, are not. Bond fans everywhere, myself included, were presented with a sobering reminder of this fact when news broke of Richard Kiel's passing yesterday. For those who might not know, Kiel was the 7 foot 2 inch giant who played one of James Bond's more memorable adversaries, Jaws. The character appeared in two Bond flicks back to back with 1977s The Spy Who Loved Me and 1979s Moonraker respectively. Audiences who watch one of the aforementioned 007 movies today might think that the character of Jaws was inspired by Steven Spielberg's 1975 classic Jaws. Okay, so the name of the character might have had a little to do with Spielberg's film. However, those who may have not read Ian Fleming's 1962 novel, The Spy Who Loved Me, might not realize that there was also a character in the book with steel teeth, except he went by the name Horror. In retrospect, not as punchy a name as 'Jaws'. Almost certainly after the success of the Jaws movie, filmmakers saw fit to change Horror's name, which was probably a smart move as it only adds to the memorability and longevity of the character. In a career that spanned more than 50 years, Kiel has had roles in countless television shows from The Man from U.N.C.L.E., to The Wild, Wild West, and The Twilight Zone, to name a few. Following his Bond experience, he could also be seen in such films as 1989s Think Big with Clint Eastwood, and the 1996 comedy Happy Gilmore, starring Adam Sandler. Kiel also found time to publish an autobiography in 2002, entitled "Making It Big in the Movies". For many, the Bond movies were the first introduction audiences had to Kiel. The character of Jaws is one he will be mostly remembered for. It may be a time to throw on one of those Bond films in honor of Kiel and his work. Though he is no longer with us, his characters will live on. May he rest in peace. 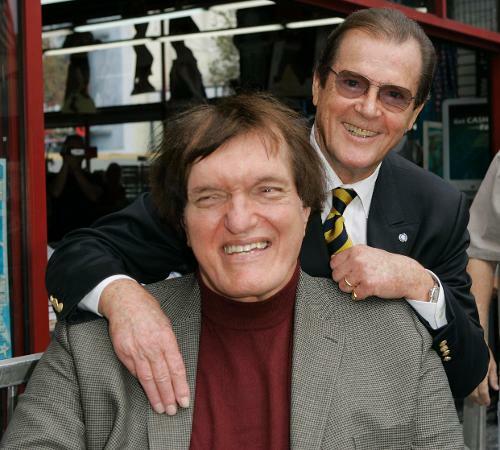 Richard Kiel passed away at Saint Agnes Medical Centre in Fresno, California. He was 74.